Scott Sommerdorf | The Salt Lake Tribune Jordan Austin Kafentzis passes during first half play. He later broke his collarbone, and left the game. 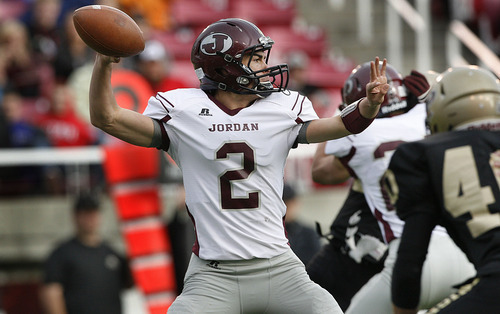 Jordan held a 20-17 halftime lead over Lone Peak in a 5A semifinal game at Rice-Eccles Stadium, Friday, November 11, 2011. 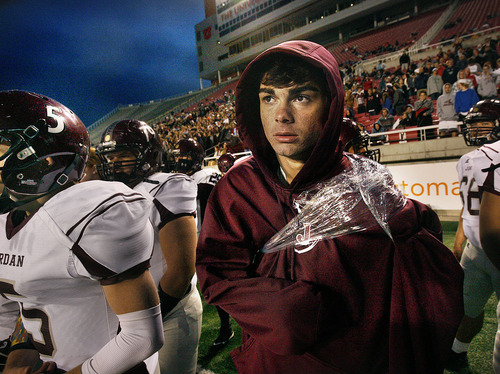 Scott Sommerdorf | The Salt Lake Tribune Injured Jordan QB Austin Kafentzis watches the last minutes of the loss to Lone Peak on th esidelines with his broken collarbone wrapped. Lone Peak scored a TD at 0:31 of the game to beat Jordan 45-41 in a 5A semifinal game at Rice-Eccles Stadium, Friday, November 11, 2011. In football, it usually takes a few years for a promising player to hit the field. 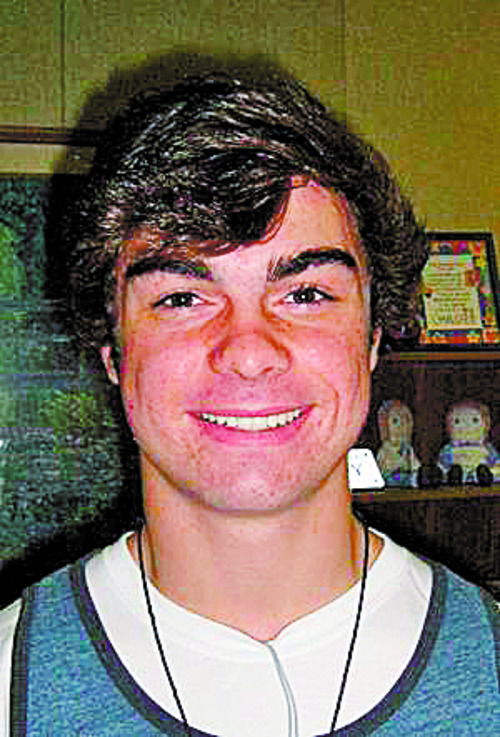 But Jordan's Austin Kafentzis is a rare breed of player who not only started but was also one of the state's best players, making first team all-state. But that is not the end of his acclaim  on Friday, Kafentzis was named Maxpreps.com's national freshman of the year, beating out three other quarterbacks. The article cites the 15-year-old's gaudy statistics: He threw for 3,199 yards, ran for 1,377 yards and was responsible for 45 touchdowns, nearly evenly split rushing and passing. Perhaps even more importantly, Jordan won with Kafentzis at the helm. The team went 10-3 this year, making the semifinals. The Beetdiggers arguably played the game of the year against Lone Peak, leading even into the final minutes before succumbing to Chase Hansen and company, 45-41. Kafentzis was taken out with an injury in the game, but still ran for a score and passed for another. Being named freshman of the year certainly sets a high bar for expectations, but perhaps not much higher than Kafentzis himself has already set. His total offensive yardage this season was good for fifth all-time in state history, and in Jordan's spread offense, he should continue to put up big numbers as he cuts down on mistakes. After such a strong freshman season, it's easy to imagine Kafentzis muscling his way to the top of Utah's record books  and perhaps more All-American lists in the future.